TheMediagoon.com: Knockoff Jersey? Auto Legit? 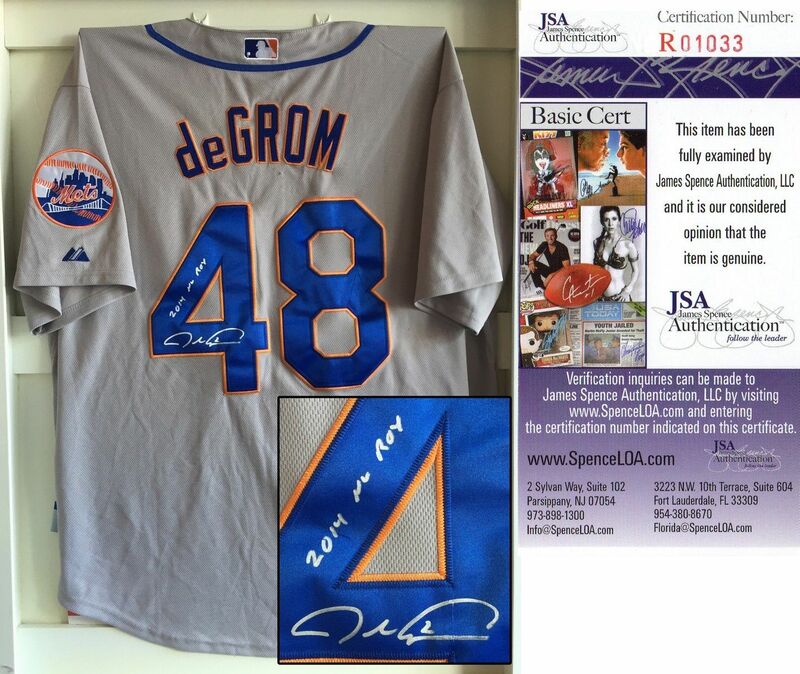 This Jacob deGrom autographed Jersey has been personally hand-signed by Jacob deGrom and inscribed 2014 NL ROY. Like all pieces on our site; this item is guaranteed 100% authentic. Value will likely increase so take advantage of this special price now! It comes fully certified with a JSA Certificate of Authenticity. We also carry additional Baseball Memorabilia and other New York Mets Autographs. MG- I hope where they say this is authentic and guaranteed that they are just talking about the auto because that jersey doesn't look right.